Seattle blues rock with emotion and power. 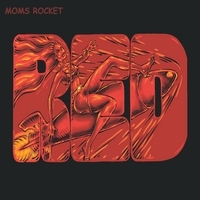 Mom's Rocket's third full-length CD recorded at the famous London Bridge Studio in Seattle ROCKS! Outstanding vocals, great guitar solos, and a solid rhythm section come together with raw emotion and energy to form 12 unique and memorable songs that will make you want to leave this CD in your player.